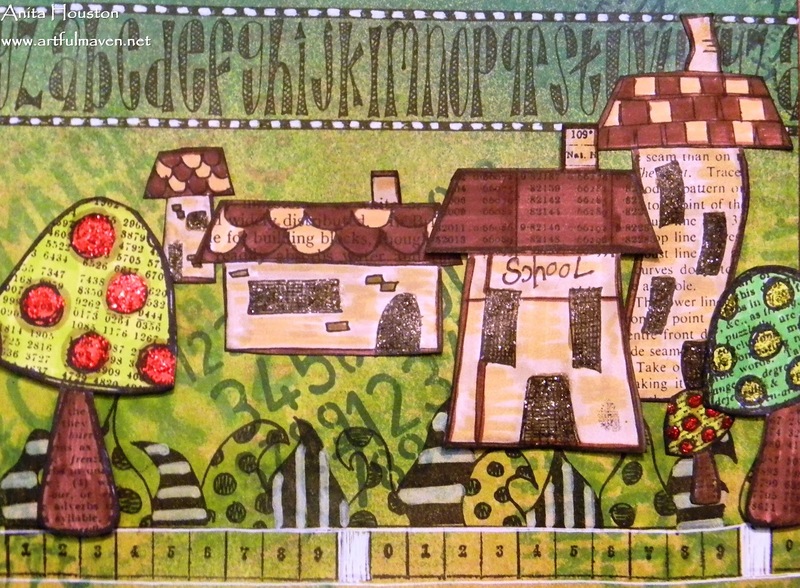 The Artful Maven: Choose To Shine...At School! ***One more week until my 1st Blogiversary and a major giveaway to one of you! No heckles or jeckles please! I know what you are thinking...."Scrap-booking?" Yes, and long over due! It was one of my Creative Resolutions...to get back to doing some very overdue layouts. I don't want my kids to start having kids before I finish their school scrapbooks. Aside from coloring in books, scrap-booking opened the door to my paper crafting about 16 years ago, and I'm only about 5 years behind! I've not added pictures yet to this, as it will hold the photos from this school year for my daughter. She has entered the land of Jr. High. Help me!!! She loves it though, and that makes me so happy! 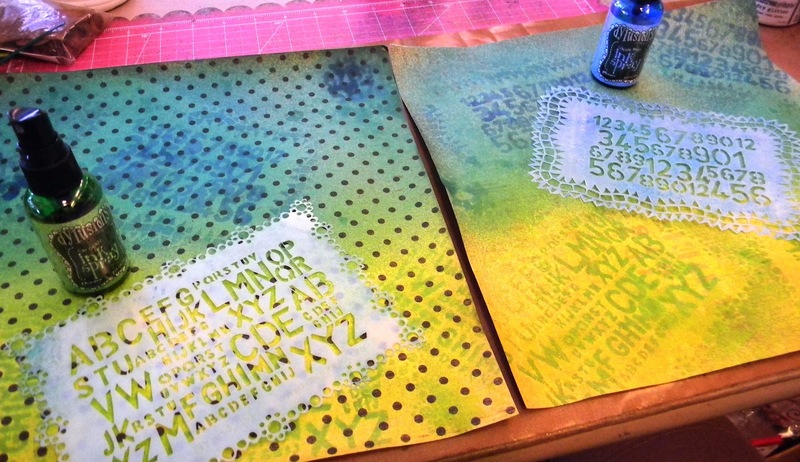 Using the Graphic 45 ABC Primer papers, I misted Dylusions Ink Spray. 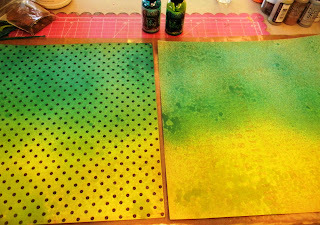 Dylusions Stencils and more Ink Spray were used on top. 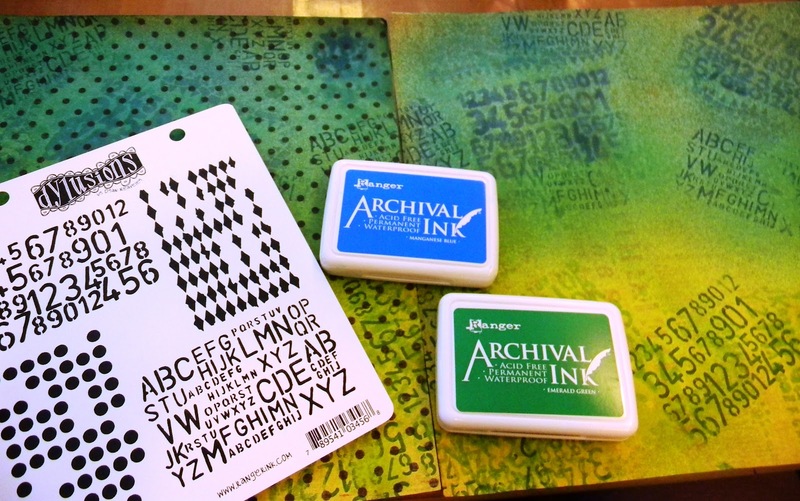 Dylusions stamps using the Letters and Numbers were stamped in Archival. 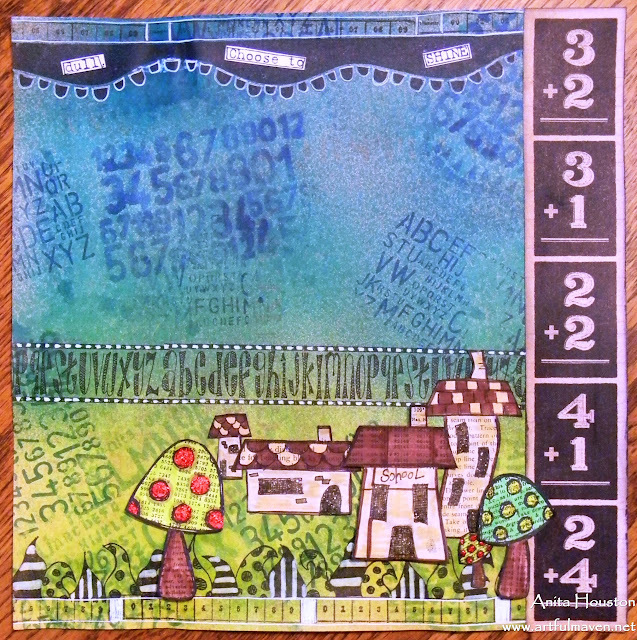 More stamping, this time using Border images, then highlighting them with a white pen and Dylusions Ink Spray inside of water brushes. Then I stamped the girl and house images onto Specialty Stamping Paper and colored them in with the water pens and Distress Markers. Two G45 borders were added as well. I am conveniently (;D) submitting this to Inspiration Journal's monthly challenge of "ABC 123 School Time Fun", the Sunday Stamper's challenge of "Masks/Stencils", and the challenge at Simon Says Stamp & Show is "For The Love Of Sparkle". This pages are really stunning Anita.I love the Background the colour combination and the images. what a fabulous version of scrapbooking--these pages are amazing! Such wonderful backgrounds which will serve to enhance your photos and make them even more precious. I love your use of all things dylusion! Oh, this is way cool! What a terrific background for a layout! Have a wonderful weekend. I'm off to stare at your LO more. Super sweet! I bet your daughter will LOVE this! Great use of color... it's so vibrant! 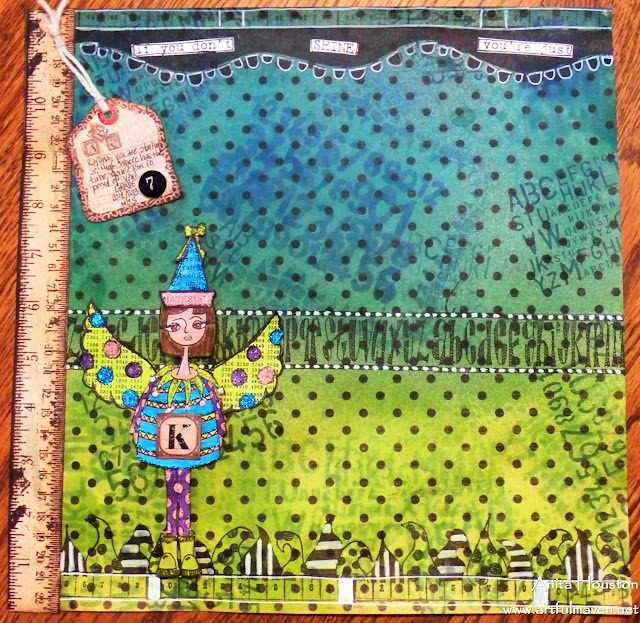 These pages are so fun and funky..very appropriate for a mature person in junior high:) What a fabulous idea to make scrapbook backgrounds that look like art journal backgrounds. That could inspire me to get back to scrapbooking, too. Love all things Dylusions. I LOVE it!! I really, really love it! What a wonderful idea! It's just a beautiful background. Fun and whymsical too! Love what you did on these pages Anita...great sort of scenery with so many details that are adorable...gorgeous! You make scrapbooking look good! 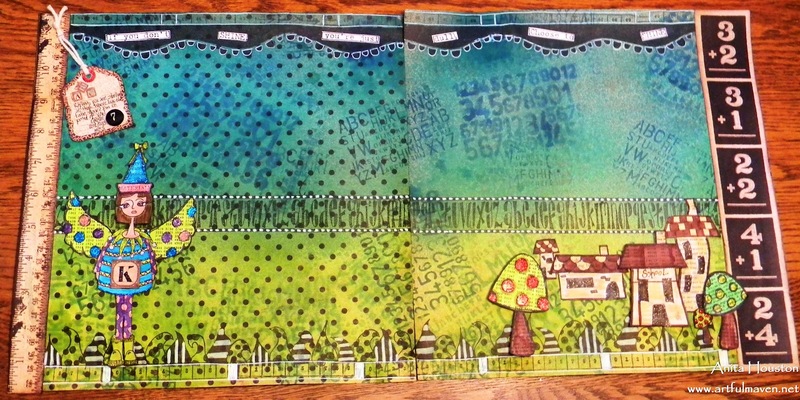 These are more like beautiful journaling pages than scrapbooking pages. I love them! I'm sure your daughter will cherish her book. PS Happy almost 1 Year! Awesome, Anita. 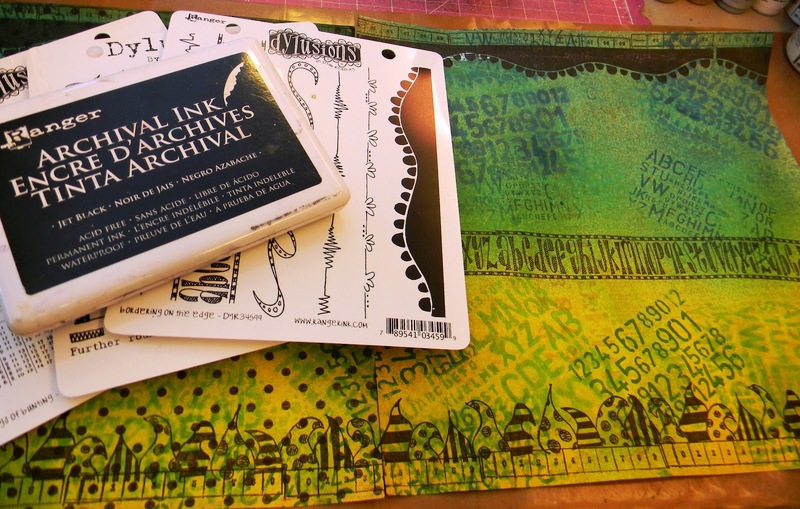 This puts a whole new twist on scrapbooking and elevates it to an art form! Love how you've Dylusion'd G45!! You're making me want to scrap with paper instead of digi...LOL!!! WOW!! This is over the top fabulous!! 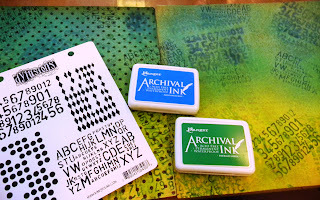 I've only used my Dylusion Ink sprays in my art journal and on tags, I MUST try them out on Scrapbook pages! 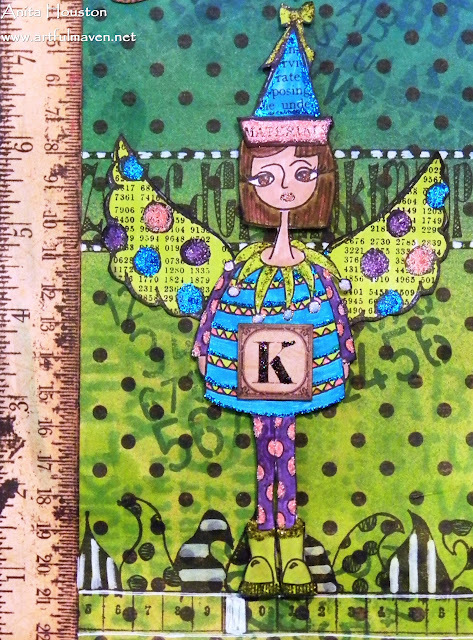 I've neglected my scrapbooking because I felt like I was in a rut. Thank you for the much needed inspiration!!!! How fun, I love it!! 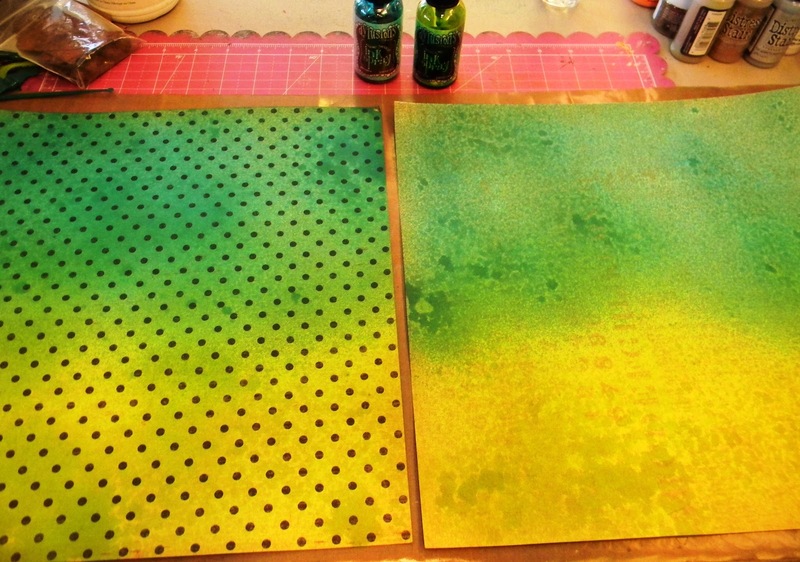 I just met Dyan Reavley last night and am taking a class with her Sunday making a 24x24 canvas - can't wait!! Aren't her products the bomb? I love, love, love this. Recently invested in the sprays and some of the same stencils and stamps BUT seeing what you have done here I NEED more!!! I love the fusion of vintage G45 with modern colors and images. It is just so playful! I never would have thought of doing this, but I am so glad you did! What a great layout! The idea to use the Dylusions house as a school was brilliant! What a lucky daughter you have and how proud she'll be to look back at this scrapbook you created for her!